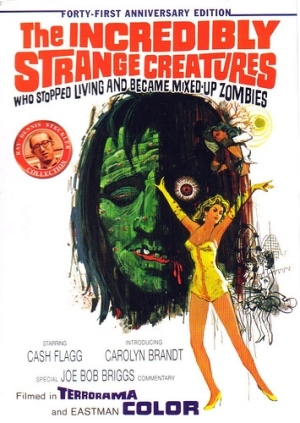 Sometimes you just see a title and know that, for reasons good or bad, you simply HAVE to watch a film. Sometimes you watch a movie and know that, for reasons good or bad, you will NEVER forget the film. This film is on a close par with “Plan Nine from Outer Space” as prime examples of everything that is wrong with how to make a movie. What makes “Plan Nine” different from “TISCWSLaBM-UZ” (what an acronym that is) is that it feels like much of the cast and crew of “Plan Nine” knew the movie was going to be a hot mess, so you get really tepid performances to go along with the terrible plot and effects. In “TISCWSLaBM-UZ,” you get the sense that everyone involved on the project sincerely feels like the movie could be something big for them, and as a result they are trying really hard to give you their best efforts; this makes watching the film feel all the more sad, because everyone fails so miserably. So, so miserably. ← G.O.R.E. 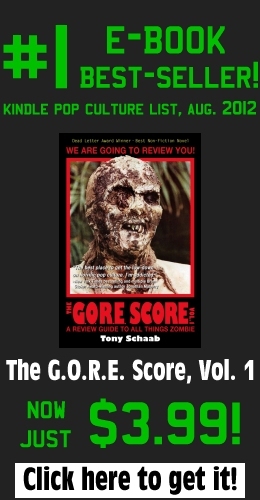 Score: The Great Alaskan Adventure…with Zombies!